Best 20 inch Bikes for Girls Ages 7, 8, 9 and 10! What are the best (and coolest) bicycles for girls ages 7, 8, 9 and 10 years old? The best bicycles for girls this age in my opinion are the 20 inch cruiser bicycles! They are absolutely gorgeous and they come in beautiful, fun colors, they are super comfortable to ride and they are the right size for them! On this page you are going to find a few of my favorite 20 inch bikes for girls being sold online! Just pick one in your daughter’s favorite color! 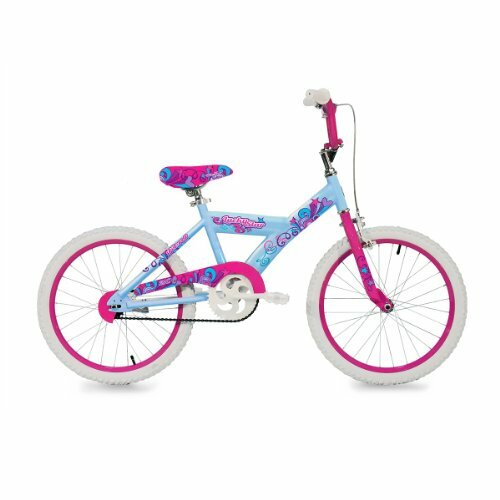 This is a gorgeous turquoise blue and pink 20 inch bike for girls! It is very sturdy, the price is great and buyers said it is also very easy to put together. They took less than 15 minutes! It looks even cuter in person and the colors are gorgeous! 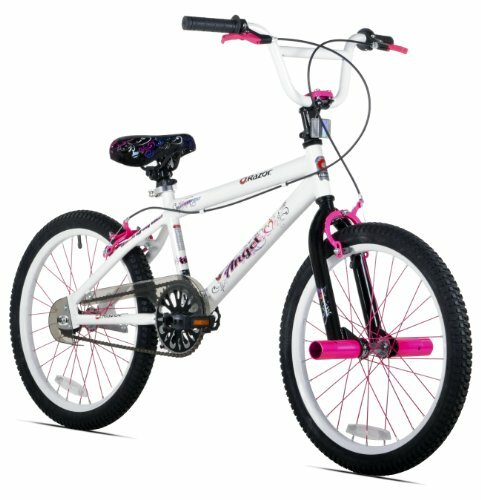 Gorgeous Razor Girl’s Angel White 20 inch Bike for Girls! Who wants to ride on a cool and solid white color bike with cool angel graphics? What a gorgeous 20 inch bicycle! It is perfect for 7, 8 and 9 year old girls! It is made of steel, so it’s pretty durable. Easy to set up and even more beautiful in person! 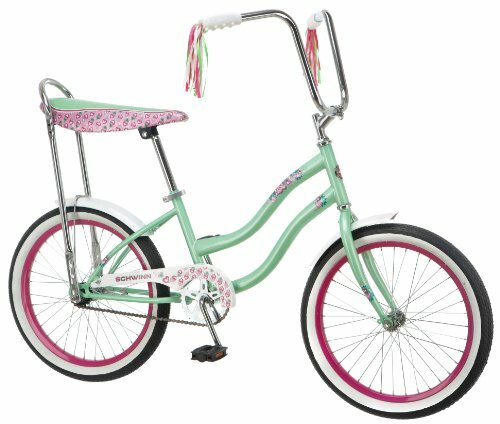 Gorgeous 20″ Beach Cruiser Bicycle for Girls, Mint Green! 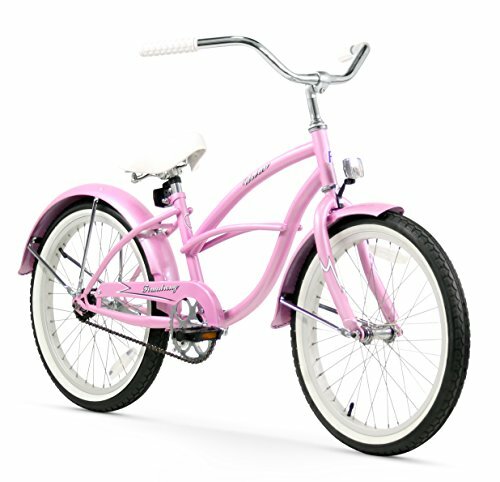 Like I said before, in my opinion, the best 20 inch bicycles for girls are the beach cruiser bikes! They are the most comfortable to ride! The high handlebars keep their backs straight and the seat is nice, comfy and large. 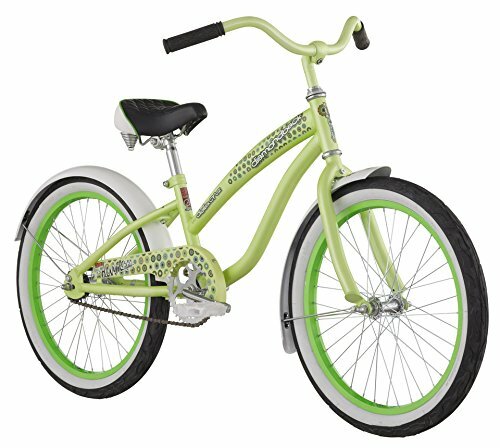 This is a gorgeous mint green color 20 inch cruiser bike for 8 year old girls! 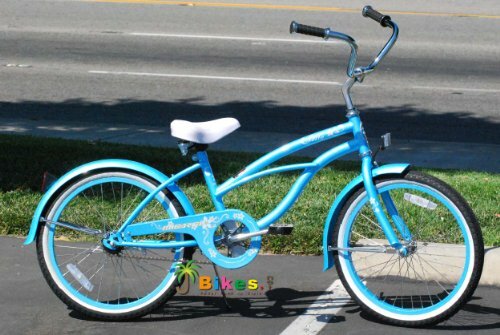 Beautiful Baby Blue 20″ Beach Cruiser Bicycle! A beautiful 20 inch baby blue bike for girls! Besides looking gorgeous, it is ultra-comfy to ride! Look at that huge white seat! Great bicycle for your 8 or 9 year old girl! Another gorgeous 20 inch girl’s bike for sale! The handlebars are perfect for cruising around the block! And it’s a very girly baby pink color! Beautiful retro design metallic purple and pink girls 20 inch bike for sale! Very smooth and fun to ride! Single speed and coaster brakes. 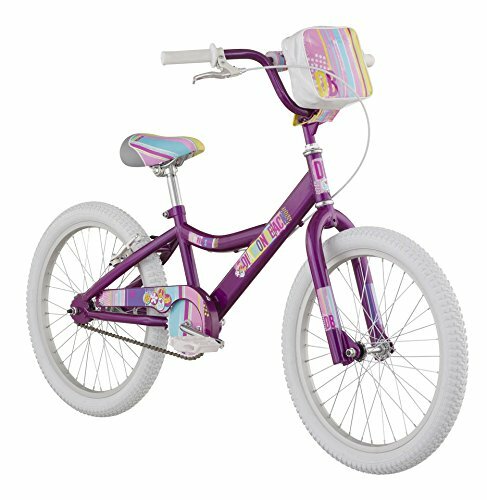 Cute 20 inch Purple Bike for 7 and 8 Year Old Girls! Another beautiful and very girly 20 inch purple bike for 7 and 8 year old girls! I love the cute pouch! 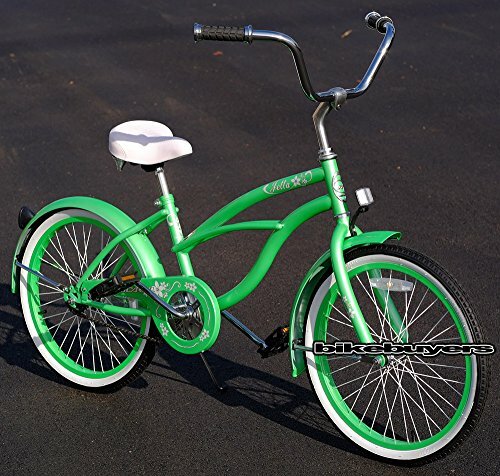 What a fun lime-green 20 inch cruiser bicycle for girls! Perfect color for the summer! 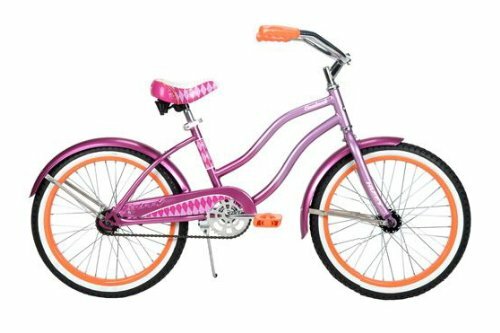 This is a solid, comfortable bike that is absolutely perfect for 8, 9 and 10 year old girls to ride every day! Will last for a long time and maybe even to pass down to her little sisters! *I hope you liked my selections of cute 20 inch bikes for girls here! -Make sure your little girl always wear a helmet every time she goes out to ride her bicycle! -Have her drink water before, during and after riding her bike! -Don’t let her ride her bicycle alone. -Have her wear comfy clothes, that won’t get in the way of riding and pedaling her new bike. -If riding after sunset, add some blinking lights in the front and back of the bicycle, so drivers can see her at all times! -Always check if tires are properly inflated.